What Are the Most Important Components and Features of a Vibratory Feeder System? 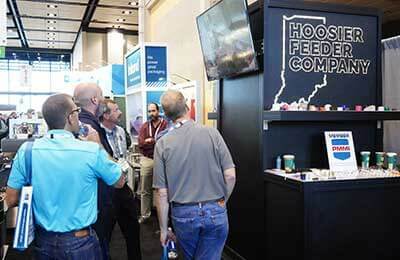 Hoosier Feeder Company creates vibratory feeder systems for several industries, including automotive and consumer packaging. 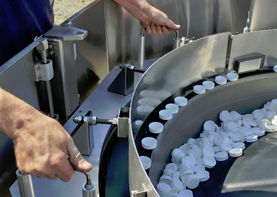 A quality vibratory feeder system enables companies to sort even the most complicated parts. While many customers understand the need for a vibratory system – to orient and discharge parts in a repeatable position for optimal efficiency – some are unfamiliar with the elements of a system that are most crucial to its design. 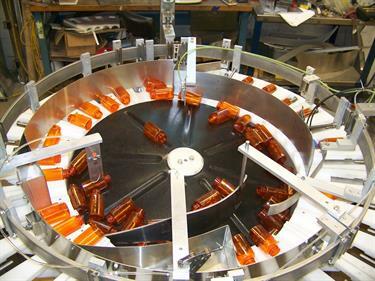 Innovation is great for consumers, but makes packaging manufacturing and assembly processes more complex. 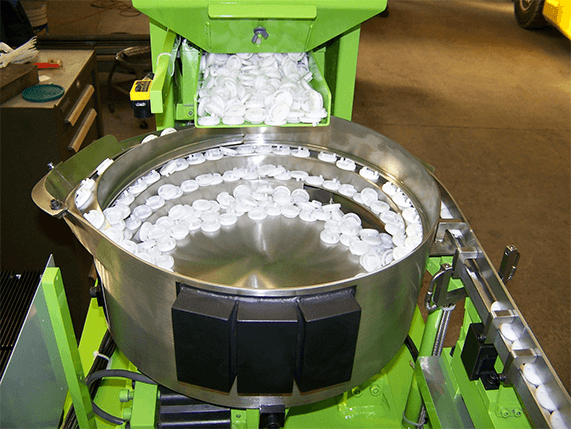 Our centrifugal and vibratory feeders are designed to support complex packaging requirements, while also achieving your efficiency objectives for assembly.